Looking for the 2019 Conference Schedule? You’ve come to the right place. 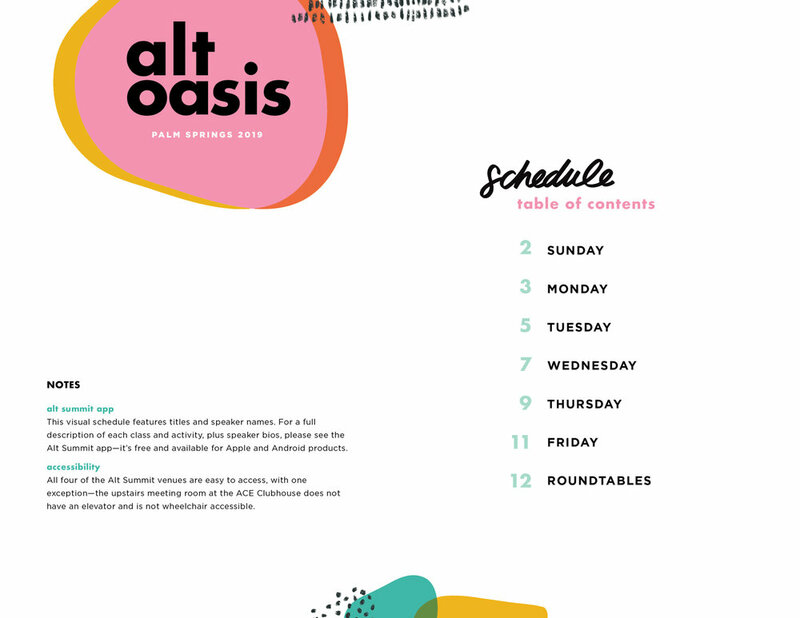 You have several options: 1) See the full schedule with class descriptions and speaker bios when you download the Alt Summit App. 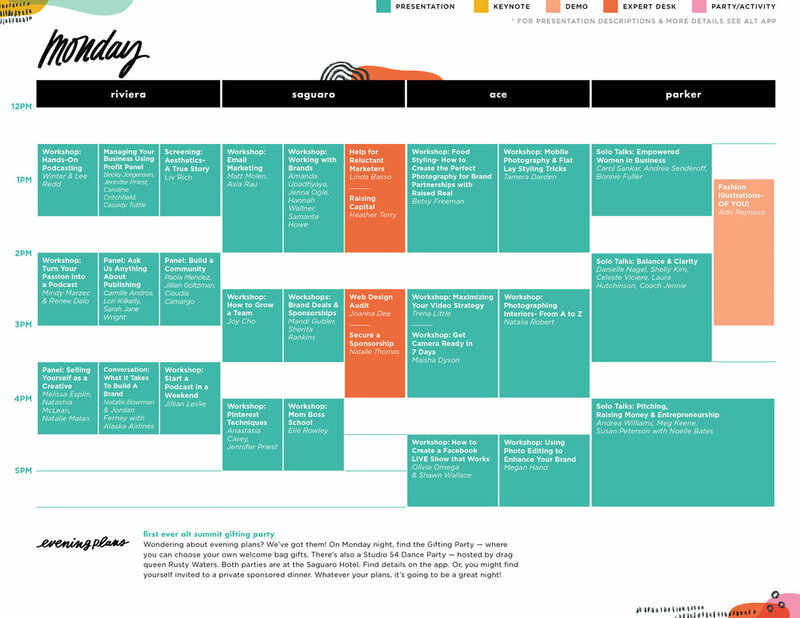 2) You can check out a web version of the App Schedule from your laptop or desktop . 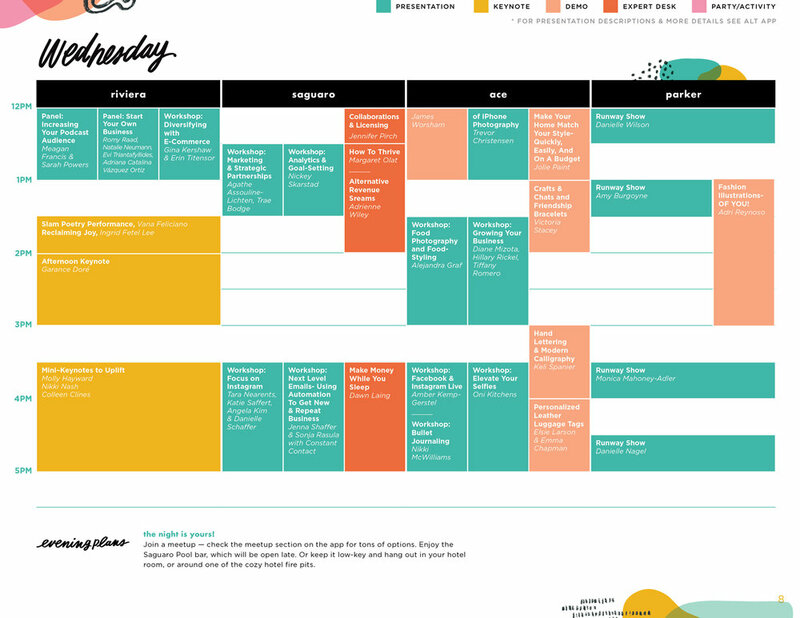 3) We have a .pdf version of the schedule that’s designed to download and print. You can download it here. Note: The schedule is still changing and the .pdf will be updated weekly, so you may want to wait to print it until the event arrives. 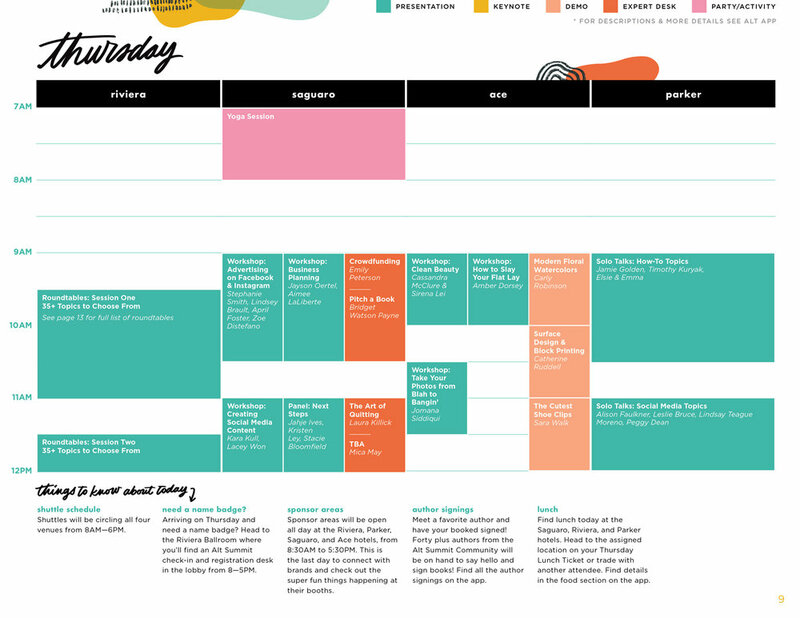 4) You can find each page of the .pdf schedule posted below so you can check them out without downloading. 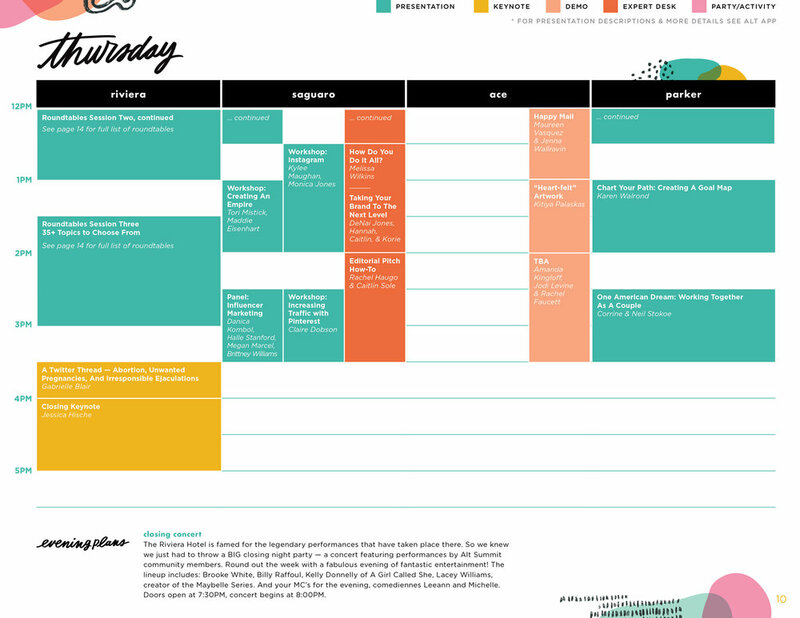 Remember, the pdf schedule lists titles and speakers, but for a full description, head to the app.